GAZA CITY ― At least four Palestinians were killed on Thursday and over 30 injured when an unexploded ordnance from last summer’s Israeli military offensive went off while clearing rubble from a destroyed house in the southern Gaza Strip, medics said. 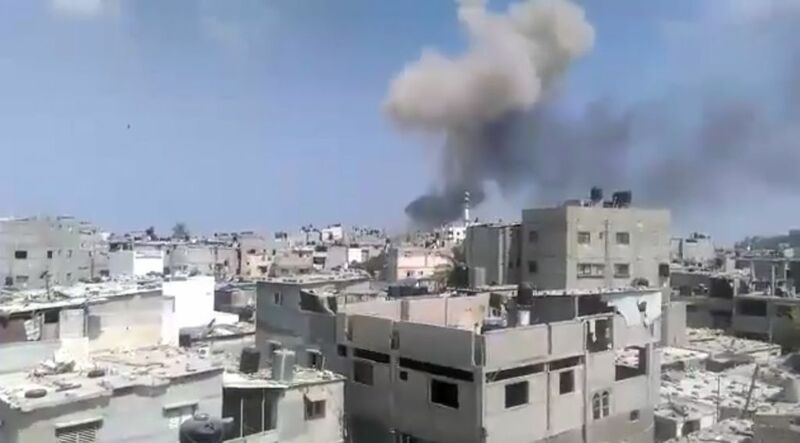 ____Palestinian medical sources at the Abu Yousif al-Najjar hospital in Rafah said four bodies and multiple wounded Palestinians arrived at the emergency room. CAIRO ― An Arab League follow-up committee on Wednesday recommended further talks to discuss putting forward a draft resolution at the United Nations Security Council to protect Palestinians from settler violence, officials said. ¬¬¬¬____The Arab Peace Initiative meeting in Cairo ―chaired by Egyptian Foreign Minister Samih Shukri ―called on UN Secretary General Ban Ki-moon to create an international mechanism for protecting Palestinian civilians in the occupied territories. Palestine remains the “primary issue for Arabs,” Shukri said. ❸ From: PALESTINE NEWS & INFORMATION AGENCY – WAFA. 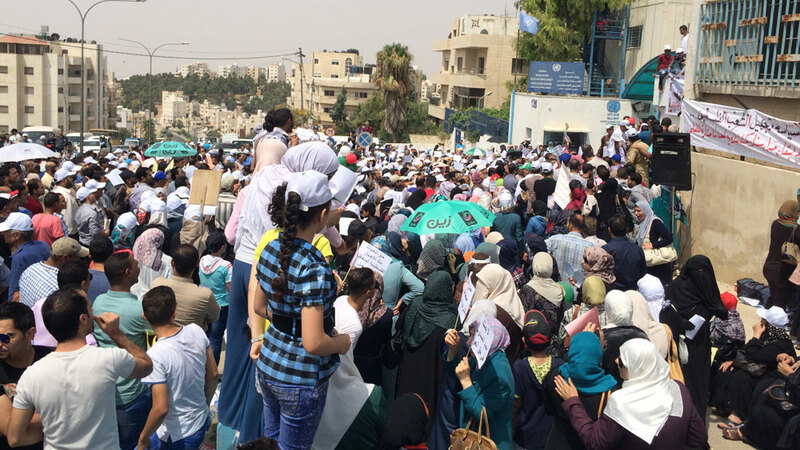 NEW YORK – Permanent Observer of Palestine to the United Nations Riyad Mansour warned Wednesday that, should UNRWA’s financial deficit remain unfulfilled, some half a million Palestinian refugee students will be deprived of their right to education, development, and dignity. ____Mansour’s statement came as he sent identical letters to the United Nations Secretary General, the President of the UN General Assembly and President of the UN Security Council, addressing them on the current financial hardship that the UNRWA has been recently seeming. ____Mansour stressed that the current financial shortfall to UNRWA’s core budget, which exceeds $100 million, and the chronic structural underfunding endured for decades by the Agency, are seriously threatening the viability, continuity and quality of UNRWA’s vital education, health, relief and social services in all of its fields of operation. Hamas’s visit to Saudi Arabia during Ramadan was “successful”, a senior Hamas official said yesterday. ____He noted that Hamas hopes to forge good relationship with the East and the West and “is working to evade obstacles” in this regard. . . .
____Regarding the relationship with Egypt, he said that Egypt stopped its efforts regarding indirect talks with the Israeli occupation about a year ago. ____This very courageous Jewish lady who now lives in Scotland is a psychotherapist . . . . She was born in Tel Aviv in 1964. During her two years of compulsory service with the Israeli army in which she became a Staff Sergeant, it invaded Lebanon. In 1991 she left Israel to make a new life in Australia. . . . In 2001 she renounced her Israeli citizenship. I am staying awake with the rain. A sailor called him, yet he didn’t go. And took to the highest mountain. Nor will I ever leave. And the ship overpowers the tide. What will you cook for us, Mother? And the flour sacks, too? Then bring us the corn of our fields.